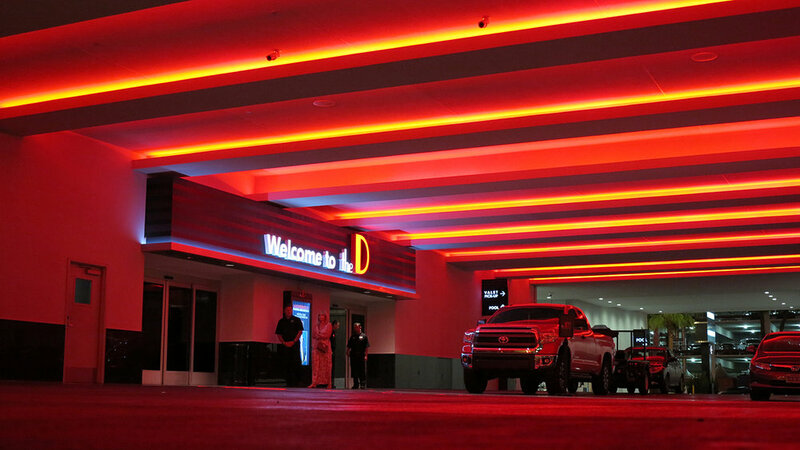 were on a very strict schedule that required 24 hour per day onsite labor during its transformation into “The D”. GSL was able to provide Design Assist services to the electrical engineer to expedite the design process. GSL was involved in virtually every aspect of the renovation; from the full services bars both inside and on the exterior of the casino; suites and restrooms; communications cabling installation; LED lighting installation; to a 40-display movable wall of 60” LCD screens.